Are the big banks really as powerful as some people say that they are? Do they really control the global economy? If y0u asked most people, they would tell you that governments control the global economy. But the campaigns of our politicians are funded by the ultra-wealthy, the big banks and the large corporations that they control. Others would tell you that the Federal Reserve and the rest of the central banks around the world control the global economy. But the truth is that the Federal Reserve was established by the bankers and for the benefit of the bankers. As you will see below, at the very core of the global economy there exists a “super-entity” of financial institutions that control an almost unimaginable amount of wealth and power. These financial institutions and the ultra-wealthy individuals behind them are really the ones that are pulling all the strings. In this world money equals power, and the borrower is the servant of the lender. 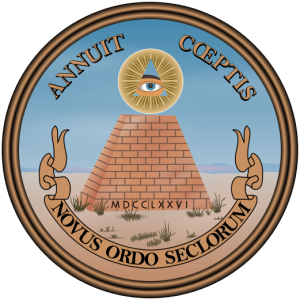 When you follow the pyramid all the way to the top, it begins to become very clear who really is in control. While the work they do is quite sophisticated and takes a lot of skill, very few of these firms direct capital to new efforts, new products, and new innovations. Instead they either trade in the secondary markets for equities, bonds, derivatives, and the like, which perform the ‘service’ of moving paper from one location to another while generating ‘profits.’ Or, in the case of banks, they create money out of thin air and lend it out – at interest of course. But just because they aren’t adding much value to society does not mean that these big banks are not extremely powerful. In fact, anyone that underestimates that power of these monolithic financial institutions is being quite foolish. So exactly who are the companies that are at the core of this “super-entity”? The story of how this works begins in 27 industrial warehouses in the Detroit area where Goldman stores customers’ aluminum. Each day, a fleet of trucks shuffles 1,500-pound bars of the metal among the warehouses. Two or three times a day, sometimes more, the drivers make the same circuits. They load in one warehouse. They unload in another. And then they do it again. Do you think that the media will tell us the truth about all of this? I wouldn’t count on it. At this point, there are just six giant media corporations that control more than 90 percent of the news and entertainment that you see on your television. And those six giant media corporations are very hesitant to do anything that will damage their corporate owners or their corporate advertisers. Do you think that our politicians will do anything about all of this? I wouldn’t count on it. In national elections, the candidate that raises more money wins more than 80 percent of the time. Our politicians know where their bread is buttered, and as history has shown most of them are very good to the guys with the big checkbooks.